Brown Butter Blondies! 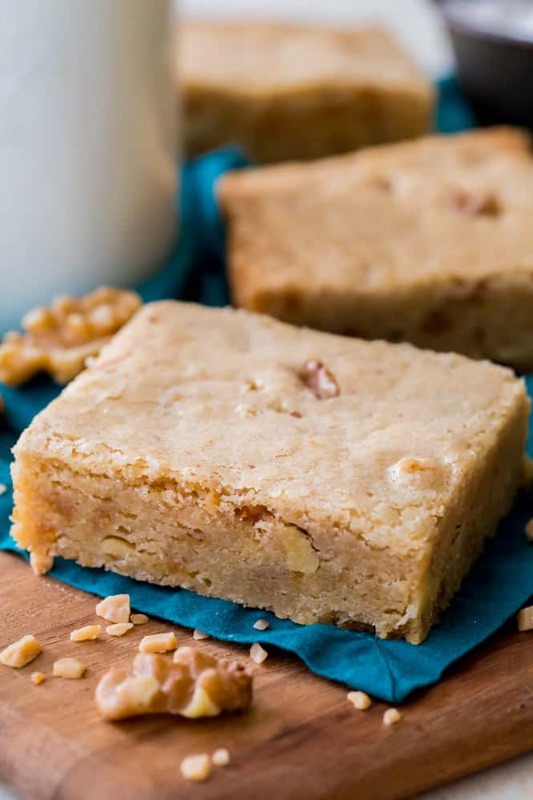 These chewy blondie bars are enhanced with the rich flavor of browned butter and loaded with (optional) nuts and candy pieces. Don’t worry if you’ve never browned butter before, it’s easy and I’ll walk you through the steps below! Hi everyone! 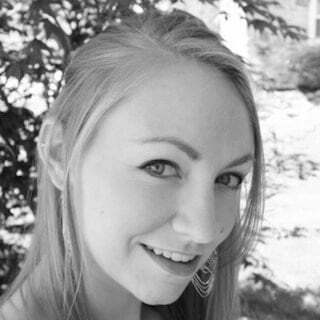 Sam here from Sugar Spun Run with another sweet treat. Today I’m sharing a decadent recipe for Browned Butter Blondies. Well, the results were every bit as incredible as I’d hoped they’d be. Richly flavored, chewy, and just simply delectable. I then decided to up the ante even further and stir in some chopped walnuts and toffee bits (I have a favorite toffee recipe but kept things simple and used the storebought “Bits o’ Brickle” pieces). Cut your butter into Tablespoon-sized pieces and place in a medium-sized saucepan over medium/low heat. Use a wooden spoon to swirl the butter frequently. The butter will begin to bubble and pop. Once the bubbling/popping slows (you should still be stirring this whole time) you’ll notice it will begin to turn brown. As soon as this happens, remove from heat quickly and transfer to a heatproof bowl. For best results, use a light-colored pan when cooking your butter, this will make it easier to see once the butter begins to brown, reducing your risk of burning your butter. Never, ever, walk away from your butter while it’s browning! Even taking your attention off of it for a second can result in burnt butter, and burnt butter is every bit as awful as browned butter is wonderful. If you burn your butter even a little bit you’ll have to start all over again. Have a heat-proof bowl ready for when your butter has finished browning. You’ll want to quickly transfer the butter to this container — it can still burn even after you’ve removed the pan from the heat. Your browned butter will be hot! Make sure you let it cool back down to room temperature (or at least close to room temperature) before adding the rest of the ingredients for these blondies. 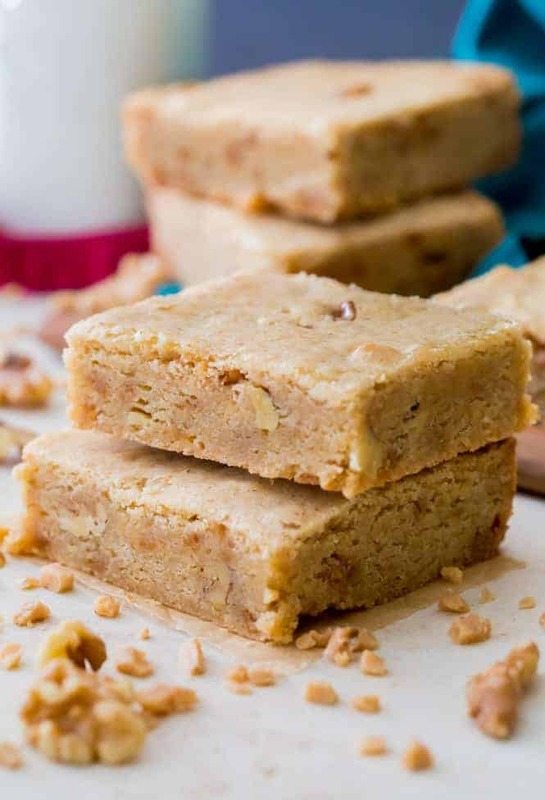 Chewy Brown Butter Blondies loaded with (optional) nuts and toffee! Preheat oven to 350F (175C). Line a 9x9 metal baking pan* with parchment paper or lightly grease and flour. Place butter in a medium-sized saucepan and cook over medium heat until melted. Once melted, turn up heat just a notch above medium and continue to cook, stirring constantly as it pops and sizzles. Once the popping slows and the butter begins to turn brown, remove from heat and pour into a large heatproof bowl. 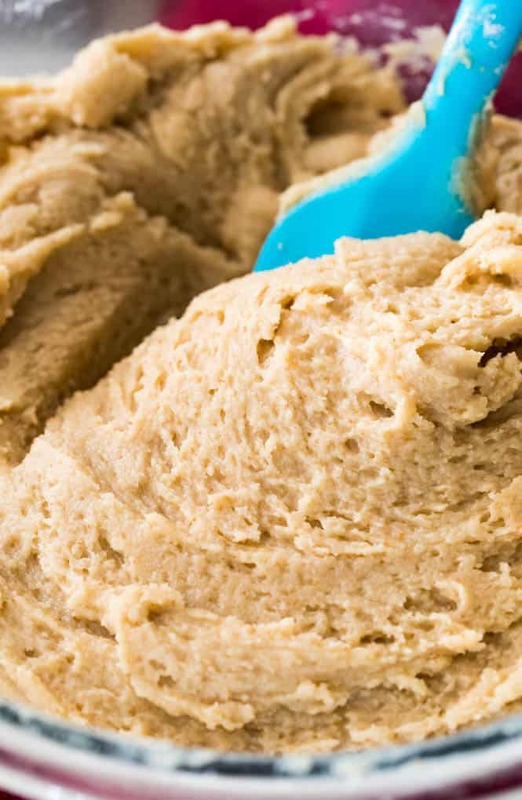 Allow browned butter to cool for at least 20 minutes before proceeding. Once butter has cooled, add sugars and stir well. Stir in eggs, egg yolk, and vanilla extract. In a separate bowl, stir together flour, cornstarch, baking powder, and salt. Stir in nuts and toffee bits, if using. Spread batter into prepared pan and bake on 350F (175C) for 25 minutes or until center is set and a toothpick inserted in the center comes out clean or with a few moist crumbs. Allow to cool completely before lifting from pan, cutting, and enjoying. The blondies may seem slightly greasy while still warm, so let them cool completely before enjoying. *This recipe will also work in a 9x13 metal pan, it will only need to bake about 18-20 minutes. This recipe will work in a glass pan, but the baking time will be longer. This recipe looks delicious, but as a Type 2 diabetic I wish more recipes with either much less sugar or none at all could be printed. Everything these days seem to have tons of sugar in them. These brown butter blondies look amazing. I will try to make them this weekend. These were excellent. Can’t wait to try with toffee pieces.